Reality Refracted: Discussion: Who Got You Into Gaming, And How? Discussion: Who Got You Into Gaming, And How? For today's post I want to talk about our roots as gamers. Now everyone has a first game, first session, and first adventure story and those are awesome. Today though I'm curious about who was the person who got you into roleplaying games? Was it a boyfriend? A girlfriend? A parent? A sibling? Just a school friend? Did you get yourself into it when you either heard about or saw it at a store and wanted to try? What was it that brought you into the hobby, and how did it go well enough that you decided to make it a thing you still do to this day? For me the blame lands squarely on the shoulders of my cousin John. When my family first moved to the states we lived about an hour and a half from John's family. This meant there were sporadic but regular times when one family or the other would visit the other for the weekend. When that happened the kids would all play, and as frequently happened John and I would play RPGs. Only, at first I didn't know that is what we were doing. 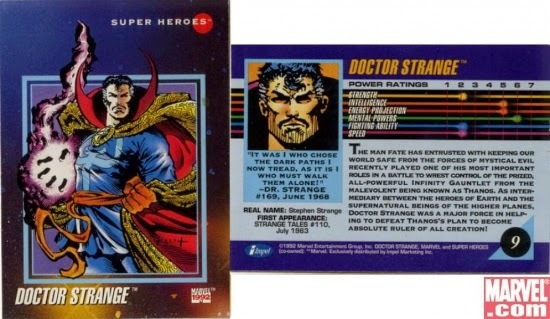 Using these cards we'd make teams of heroes/villains and do battle using dice and adding the stat number for various things to determine who won or whatever was going on. It was a stupid, simple, and rudimentary system but it was a lot of fun. From there we progressed into other games, Star Wars, D&D, Palladium's Heroes Unlimited, but that's a story for Monday I think. How abot you? Who got you into the hobby? How did they do it? That would be Denny. He was a kid I met in 7th grade during health class. We hit it off right away, and he invited me to his weekly D&D game. After that, I was hooked. I couldn't give it up even after moving across the country. We forged a friendship beyond the table, but that was the defining moment, in my opinion. My mother, who knew I was interested in wargames, pointed out that the local library (in Eugene, OR) hosted a wargaming club on Saturdays. And at that club were people playing D&D. So I cannot point to any one person but rather the whole gaming club is what got me involved in RPGs.